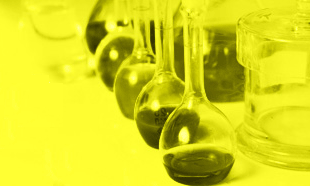 Enamine and FCH Group collaborate to extend compound library synthesis program. Enamine Ltd., a chemical company, producer of building blocks and screening libraries, announced today that it had signed a collaboration agreement with small molecule design house FCH Group Ltd (FCH). FCH Group to participate in “Innovation in design, supply and acquisition for compound screening libraries” meeting. Yurii Moroz, Chief Scientific Officer, will be discussing our brand new screening compound collection on the meeting organized by SCI on 14th September, 2016, at Fielder Centre, Hatfield, UK. Enamine, ChemBridge Corporation, UORSY and FCH Group today announced launch of ChemSpace, a global e-procurement marketplace solution for searching, purchasing and selling chemical building blocks. The ChemSpace database currently encompasses over 15 million unique molecular building blocks, and is the world´s largest chemicals library.